Spring Break is finally here!! My son's school has a 2-week break at Easter every year. Hubs will also take off a few of the days. This year, I have decided to take sort of a Spring Break myself! I am going to take a 2-week break from this blog. I want to take the time to spend with my family and to focus on getting some projects done around the house. It's OK. I'm fairly certain that you will survive the 2 weeks without me. :) And it's quite possible that the blogosphere will not come to a screeching halt! So no posts from me for the next 13 days (I'll be back on 4/12). But I have a few things for you to do so you don't miss me so much (and because I'm bossy). I've got a to-do list for you!! One thing to do for each of the days I'm gone. Just stop by each day and do an item from the list. It'll be like I'm still here! If you haven't been here long, you'll learn a few things about me and if you're a long-time reader, you still might learn a thing or two. 1. Look at my 100 Things list. See what we have in common (or not)! I've updated the list with a few notes so it's current. 2. You might be needing a cake recipe for Easter, so browse through all the recipes from Cake Week last year. You might find a new recipe to try or just stop and drool a little. 3. Take Poll #1 over on my sidebar. I'd like to know how you want me to reply to you - through e-mail or comments. I appreciate your input! 4. If you want more background info on me, read through my Slightly Serious Posts. There aren't very many, so it won't take you long! 5. 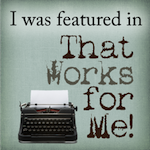 Leave a comment on my Reader Shout-Out if you haven't already. Last count, I was at 7 countries and 25 states. It's fun to see where everybody is from! 6. Since I'm on a sort of vacation, you might want to look through some of my vacation posts. You can check out Bryce Canyon, Zion National Park, Lewis & Clark Caverns and Yellowstone. 7. You might like to browse through the Chocolate Friday Recipes. 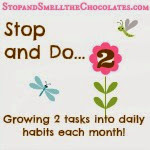 All the chocolate recipes are listed and categorized in one spot. I even updated the list with the 2010 chocolate recipes so far. 8. Check out my other blogs. I will be posting on them during the 2 weeks since I don't post as often on them. My healthier blog is Stop Eating All The Chocolates and I have a semi-secret 3rd blog that you can find and read if you're bored (Kim already found it!). 9. Take Poll #2 on my sidebar. I would love to know how you found my blog! 10. I hope you enjoyed the Etsy shops that were promoted this month! You can look in my fave Etsy shops for great gift ideas. I have links to them on my sidebar. 11. I haven't mentioned our Basset hound Buster in a while. You can get your fix of Buster pics by scrolling through the Buster posts. He still makes us smile! 12. 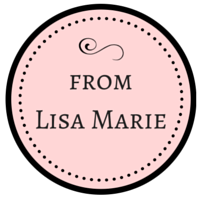 Take a look at my Blogroll on my sidebar and find a new blog to read! I enjoy all the blogs there and added a few more from my reader (it doesn't even include all the blogs in my reader - just too many!). 13. This one's easy! Leave me a comment telling me how many to-do items you completed and your thoughts! I'll even count it as a bonus entry in a giveaway coming up after my break! Did that help? I hope so! I hope you have a lovely 2 weeks and Happy Resurrection Day! Though I won't be on this blog, I'll be posting on my others and will show up reading/commenting on other blogs, facebook, and twitter as I have time. Thanks friends!! Have a fabulous day! And just when I thought I didn't have anything to do this week! LOL! Big you're here even when you're not here size hugs to you!! Have a fabulous Spring Break my friend. Relax girl! Wondering if you can keep offline for that long, not sure I could! LOL! Have a great break. I won't even get into my to-do list, but I have stayed a lil' while and read through your list of activities. Would really love to get back to some of those choco recipes. Have some great ideas you're sure to love. You are so cute Lisa! :) Thank you for the list, because I just didn't know WHAT to do for the next 2 weeks! :) hee hee...now I'm gonna have to get to work on my assignments! My "Littles" aren't school aged yet so Spring Break is just another week to us. But DH is on holidays this week so the whole family will be together! I am working on getting the kids clothes sorted and boxing up what is too small. Must also make a list of what clothes they will need for fall as garage sale season is coming up! I would like to get into the garden (if the weather warms up enough) to start the spring prep. We will be hitting a local fair that has a petting zoo this week. H LOVES bunnies and she still talks about the baby bunnies she got to pet last year. Hope you have a great break and Happy blessed Easter!! I did 6 things. Have many things in common. Man, just as I start getting back into a blog reading schedule YOU LEAVE ME! I'm on my spring break now, (we losers only get 1 week, btw) and boy does it go by fast. Have fun conquering that list! I hope you guys enjoy your spring break! I'm trying to decide if we are going to take a week off or not. I want to get through with the year..and soon! Take care...and know that even though the blogosphere will keep on running w/out you, you will be missed. I did 7 of them. Yeah for me!! !